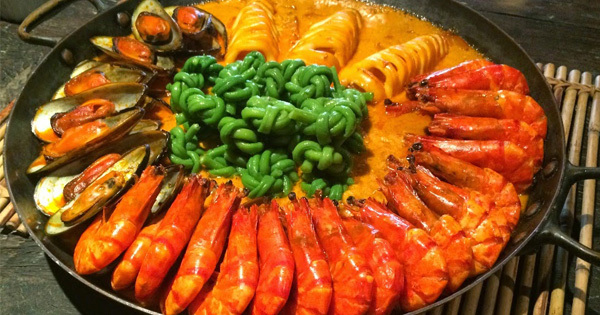 Pampanga, located just a few hours from Manila, is a perfect choice for people craving for a unique food experience. Known as the "Culinary Capital of the Philippines," there are a lot of restaurants to choose from in the province, but there are some that really stand out! #1 - Bale Dutung: Chef Claude Tayag opens his antique-looking home from time to time for pre-arranged lunches prepared by himself. Aside from being regarded as one of the finest restaurants in the Miele Guide in 2009, it has been featured in Anthony Bourdain's "No Reservation" in 2008. Those who already experienced eating at Bale Dutung can't stop raving about their Lechon Menu, Anthony Bourdain Menu, and Kapangpangan Menu. #2 - Cafe Fleur: A product of Chef Sau Del Rosario's passion for food and travel, Cafe Fleur will bring you to places. The 3-concept restaurant houses a cafe on the ground floor that serves desserts and smoothies, a Thai-inspired eatery called Leh-Leh, and a more sophisticated dining area at the topmost floor called Babo that serves Kapampangan dishes with a modern twist. #3 - Downtown Cafe 1956: Go on a trip down memory lane in this restaurant that is inspired by the 50s to 60s downtown vibes. Also owned by acclaimed Chef Claude Tayag of Bale Dutung, expect the best of the familiar taste of Filipino food with a twist. Their specialties include the talangka rice, kare kare, crispy aromatic duck, and halo-halo. #4 - Aling Lucing Sisig: Home of the most authentic Kapampangan sisig, this streetside eatery should not be missed when in Pampanga. The recipe of the country's most popular pulutan (food paired with beer) originated in the 70s from Lucia Cunanan, the sisig queen herself, and has been passed on to the next generations. #5 - Apag Marangle: Literally a Kapampangan phrase for "food laid on the farm," Apag Marangle in Bacolor features mouthwatering dishes complemented by a native architecture of huts above a pond. They also have a branch at Marquee Mall in Angeles. Aside from Kapampangan dishes, this restaurant is famous for its exotic dishes such as betute or deep-fried frogs and ginisang camaru or sauteed mole crickets. #6 - Prado Farms: More than just a place to dine, Prado Farms is a five-hectare eco-resort that advocates for natural and sustainable lifestyle. The family-run artspace serves delicious yet healthy homemade Kapampangan dishes with ingredients straight from the farm. They also offer accommodations for guests who want to stay overnight.